This is my beautiful multi-colored Czech glass rosary. 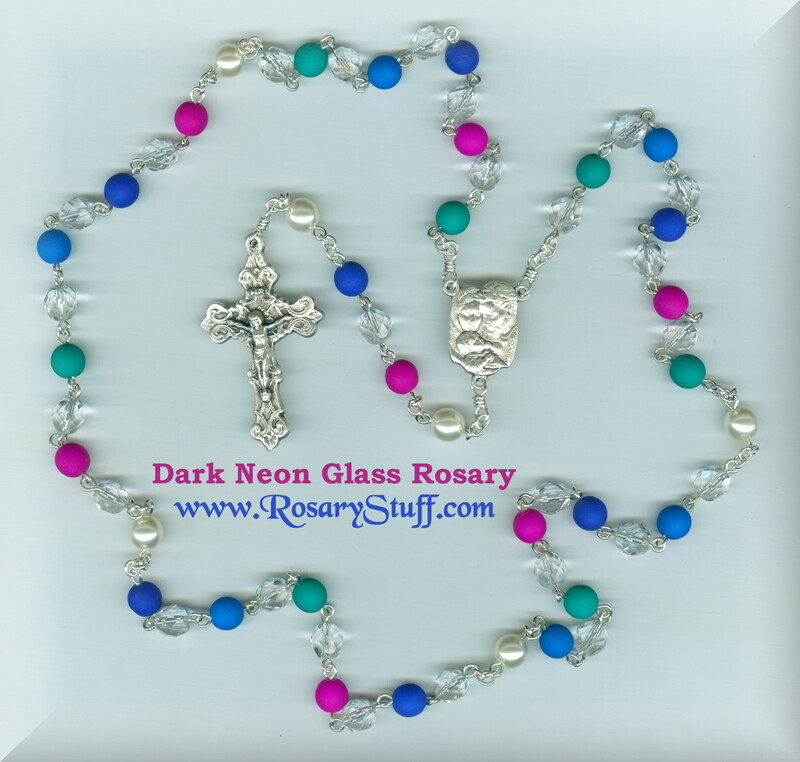 It features a beautiful Holy Family center, an ornate filigree crucifix, and the neon colored Czech glass beads. 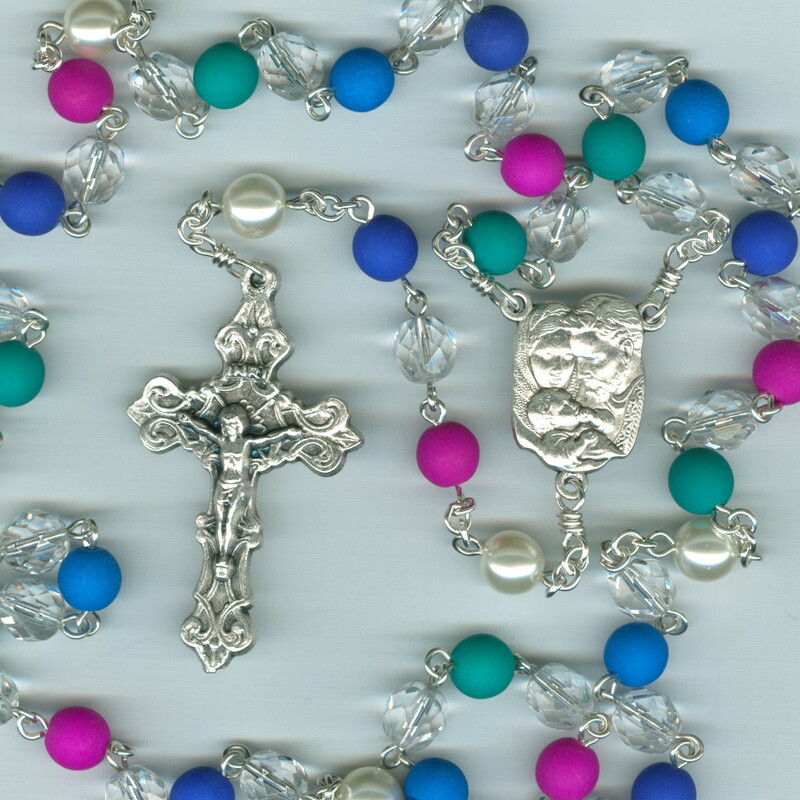 The beads used on this rosary are glass and not the rubberized plastic you see elsewhere. All of my glass rosaries are fully customizable and ~made to order~, so please allow an extra day or two for completion before shipping. And remember....every full-sized, hand made, Speziale rosary also comes with a special prayer card and a drawstring pouch for easy storage. BEADS: The Aves include alternating 8mm Neon round Czech glass beads (violet, petrol (teal), blue, turquoise) and 8mm fire polished, faceted clear Czech glass beads. The Paters are 8mm round white Czech glass pearls. CENTER: Italian silver plate Holy Family center. CRUCIFIX: Italian silver plate ornate filigree crucifix. WIRE/CHAIN: this rosary features my upgrade to the thicker 20g silver FILLED wire and round link sterling silver chain which is also 20 gauge.